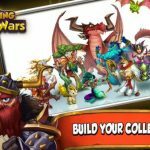 Card King: Dragon Wars has been quite the success since its iOS debut. 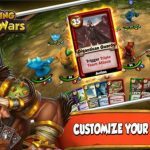 This addictive card battler by Crooz allows you to build up a deck, or team of creatures in a tactical battle set in a mystical world, and apart from the tips we already have shown you, we’re not quite done sharing our Card King: Dragon Wars tricks and hints. This time, we shall be moving to Dragon Stones and Dragon Fangs. The former is hard to come by, as it’s the premium currency, while the latter is another form of currency that can also be useful in helping you acquire some rare items or cards. 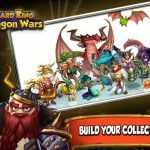 And now, let’s get going with the ways you can get both Dragon Fangs and Dragon Stones in Card King: Dragon Wars. If it’s Dragon Stones you’re looking for, the quests are the easiest way to earn them for free. Main Quests and Daily Quests are both good ways to earn more stones, but it’s the dailies that you want to focus on. Finish these limited-time quests before the constant Main Quests, as you’ll certainly be getting a bonus Dragon Stone if all dailies are completed. The Arena becomes accessible once you’re at rank 10, and once it opens, you can face other real-life human players, rising up the rank and earning more Dragon Stones. You’ll know if you’re getting new stones by viewing the rewards column; with each timed tournament the rewards will change, but generally speaking, high-ranked players have a much better chance of earning Dragon Stones. 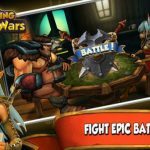 As we told you in a previous Card King: Dragon Wars tips and tricks article, Dragon Fangs are earned if you choose another player’s card as your helper card. There’s no limit to the type of card you pick or from whom you get it from – the fact that you picked a helper card is good enough to earn you more Dragon Fangs. If you set your leader card early on, other players may choose it as their helper; red and purple cards are most likely to be picked as helpers due to their high attack rating.